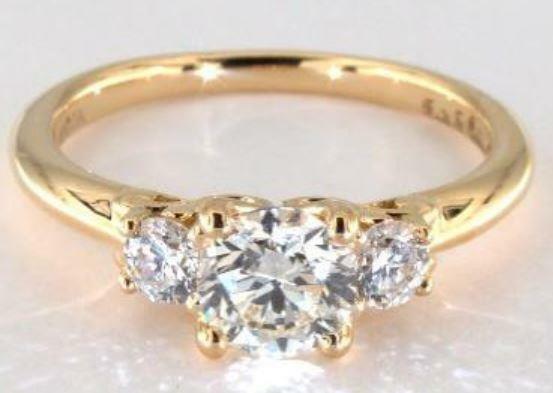 What’s the Best Diamond Color for Yellow Gold Rings? 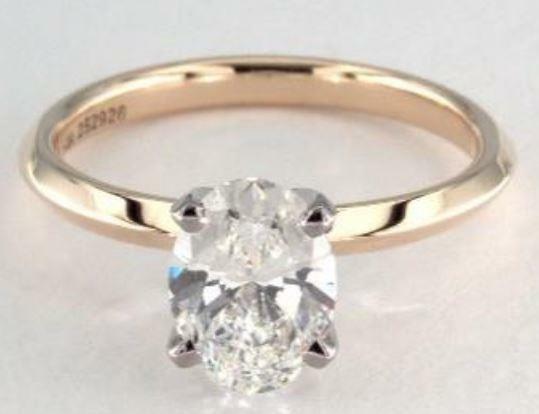 When you buy a yellow gold diamond ring you want to make sure that you are not wasting any money. 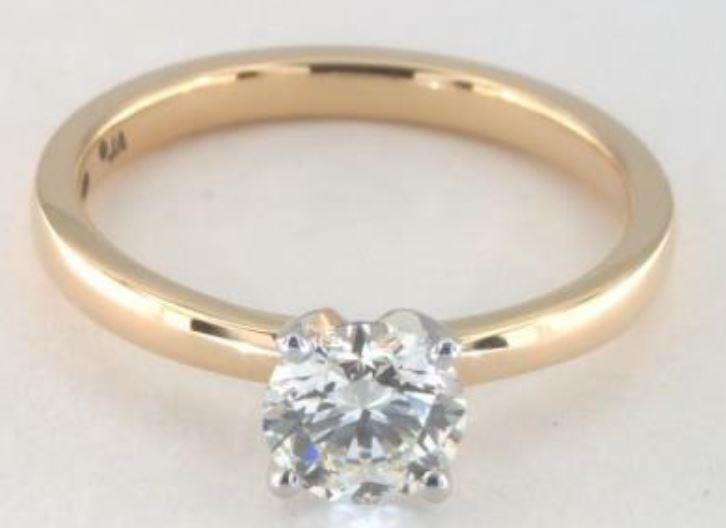 Thus, when it comes to yellow gold engagement rings people usually choose a diamond color that is way too high. It is wiser to choose a lower diamond color and go for a diamond with more carat weight. 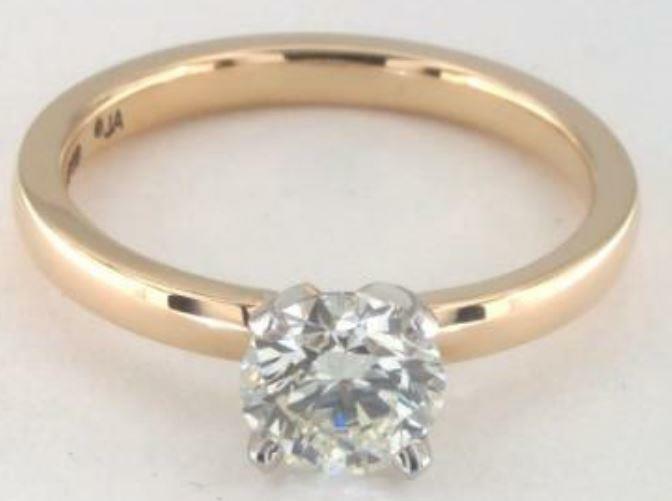 In this post I want to show you exactly what each diamond shape in a certain diamond color actually looks like when it is mounted onto a yellow gold ring setting. And as usual my focus will be on getting you the biggest bang for your buck! 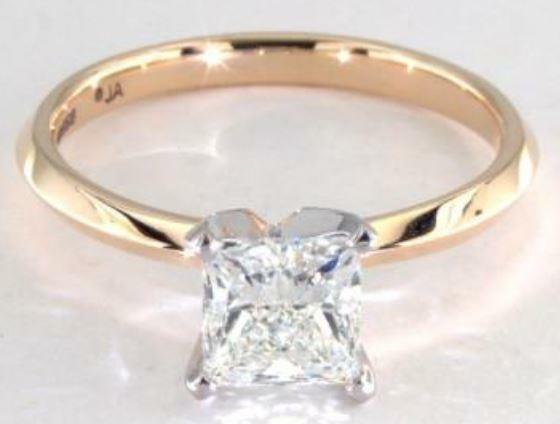 In general for yellow gold rings any diamond within the J – L Color range will look perfectly fine. 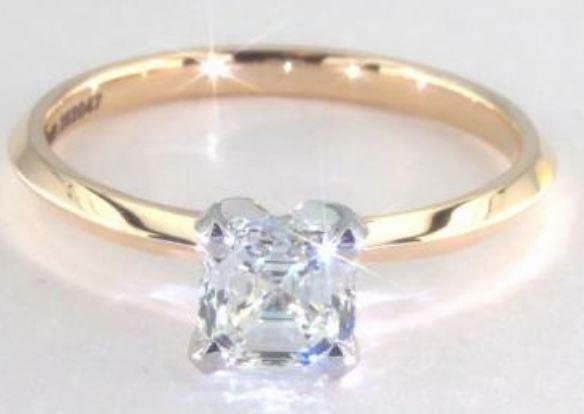 I know that people worry a lot that a K colored diamond will show a slight hint of color when it is mounted on the ring. And this is definitely true for white gold and platinum ring settings. 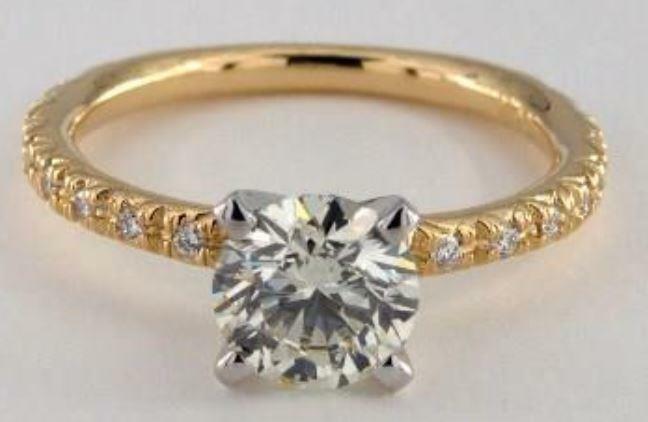 However, diamonds tend to absorb much more color of yellow gold than they absorb the color of white gold. This is why you will not really see the difference between an H colored diamond and a K colored diamond on a yellow gold ring. If you actually click on any of these two pictures you will be able to view the entire ring from all angles and from all sides. What you will quickly realize is that it is very hard to make out a difference! Also remember that you are actually viewing both rings in 20x magnification! And the difference between an H color and a K color is three color grades! 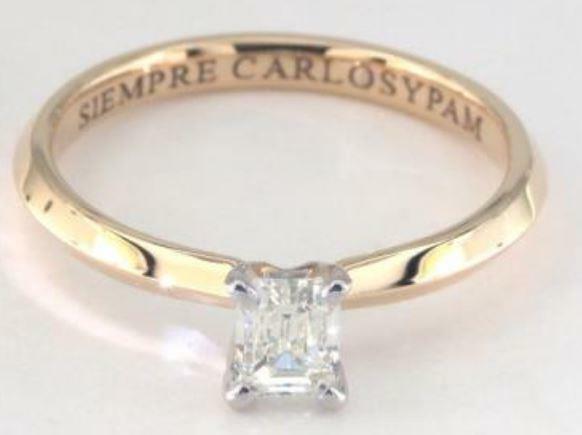 A K-colored diamond on a yellow gold ring will always look good on yellow gold. Both diamond rings look absolutely good in 360° view as well! I can understand that some people have inhibitions about going for a K colored diamond as it belongs to the faint color group. In this case I would suggest you don't go lower than a J colored diamond. At least if you want to be as cost-effective as possible. If you click on any of the two J colored diamonds you will see that the diamond makes a really good impression from all sides and angles! 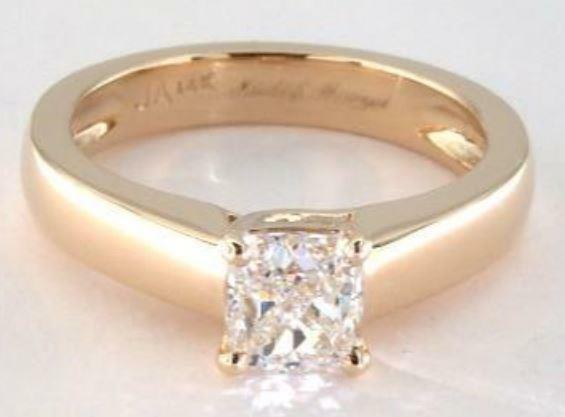 Thus, although I can understand sceptics that want to go better than a K color grade you can rest assured that there will never be a need to go better than J color for yellow gold rings. Let's have a look at all the other diamond shapes out there. For a princess, Asscher and emerald cut diamnds the I – K color range will give you the biggest bang for your buck. Below you can an I-colored princess cut diamond on the left and an I-colored Asscher cut diamond on the right. As you can see the I color looks perfectly icy white! 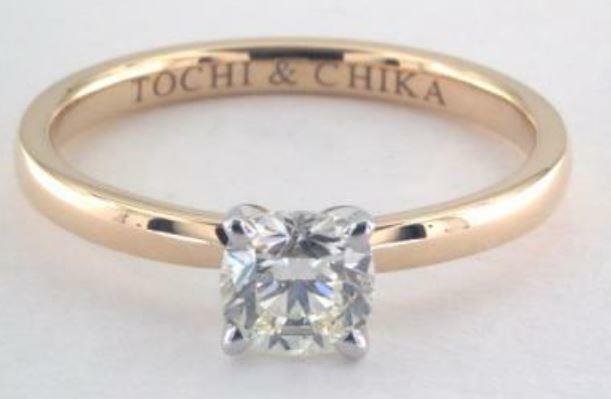 If you view both diamonds from all sides you quickly come to realize that a K colored Ascher cut or emerald cut diamond will still look good! 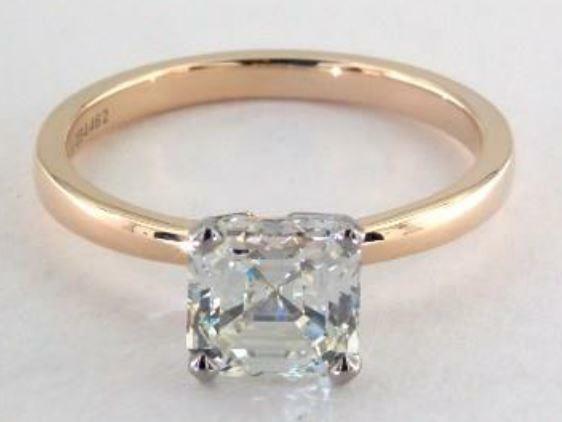 And of course the same applies to K colored princess cut diamonds as well! If you feel like you would like to stay more on the safe side an I or J color will be absolutely fine as well! But there is absolutely no need to go for a color grade even lower than I. For all other diamond shapes I personally think that the H – J color range will give you the biggest bang for your buck! I am even more inclined to say that you should rather go for I or J colored diamonds! 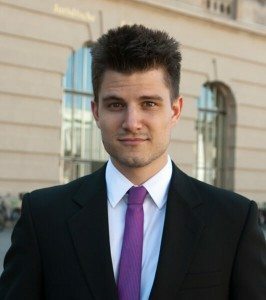 But I am mentioning the H color for more conservative people. 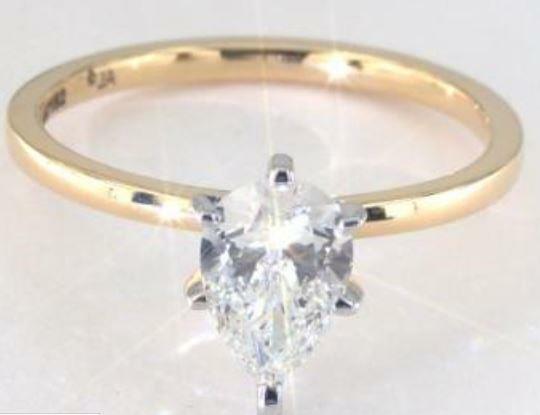 When looking at the two diamond rings from all sides it become apparent that the H color is a very safe place for these diamond shapes on yellow gold. You can definitely not go wrong with that. For people who even want to get a greater bang for their buck I have also picked two J colored diamonds. I think that both diamonds make a very good impression as well! 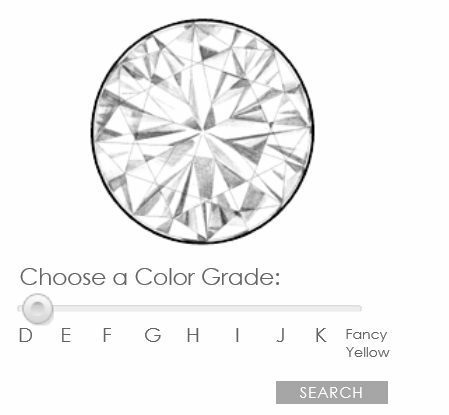 If you are still unsure you can also go for an I colored diamond. But in general even J colored diamonds will look good! 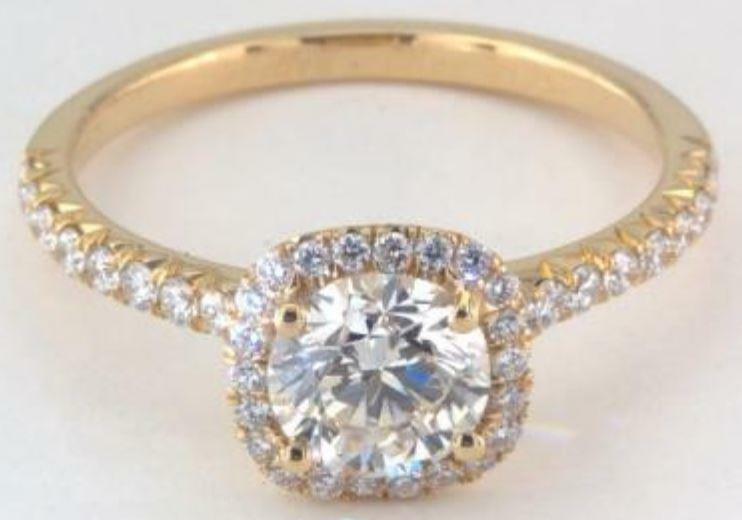 How to shop for yellow gold diamond rings? 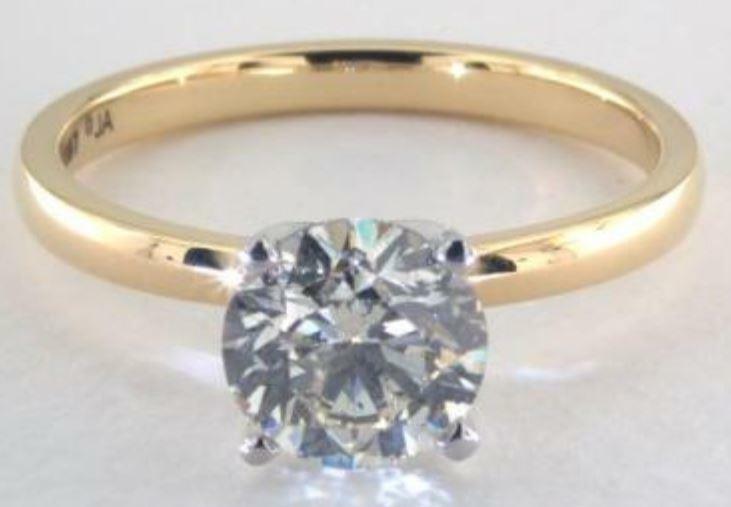 To get the biggest bang for your buck you should save money on the diamond color and on the diamond clarity. As far as diamond clarity is concerned SI1 or SI2 diamonds can give you the largest amounts of value! Not all SI1 and SI2 diamonds are eye clean and thus you will need to take a closer look at them. 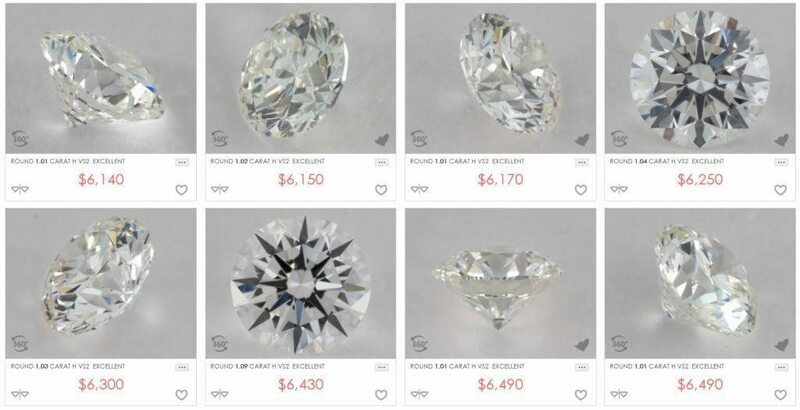 With a little bit of browsing you can therefore find all the eye clean SI1 and SI2 diamonds and make a really good deal! James Allen also has around 500 different yellow gold ring settings. Thus, you won't have to worry about not finding the right ring setting! If you have any further questions please don't hesitate and simply shoot me a mail!